Does julesramsey belong in this group? Born and raised in Kansas I am an outdoor person who loves being in the fresh air. 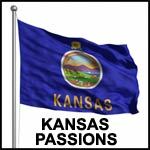 I have lived in a number of different states when I was married and really enjoy being home in Kansas. Does ridergal49 belong in this group? Does ginaboi belong in this group?